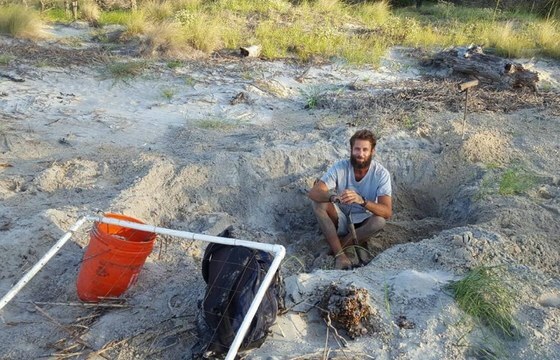 What’s life like for DNR sea turtle techs working Georgia’s barrier island beaches? Find out this week as techs Jack Brzoza, Kyle Coleman and Sarah Martin blog about their jobs on Ossabaw and Little St. Simons. It’s all part of #7Days4SeaTurtles, a weeklong, social media-based look at sea turtle conservation on Georgia’s coast. Don’t miss a post: Follow the DNR Wildlife Resources Division on Facebook, Twitter, Instagram and Flickr. And the blog, of course. P.S. The hatchlings are here! Conserving sea turtles and their habitats involves many agencies, organizations and volunteers. But helping goes beyond joining a group or working the beach. 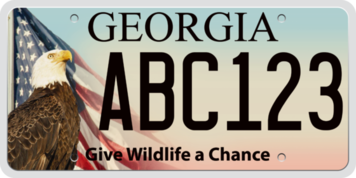 A key way to contribute is through buying or renewing a DNR bald eagle or hummingbird wildlife license plate. Sales and renewals provide critical support for work with hundreds of Georgia wildlife and plant species that are rare or otherwise need conservation attention, including sea turtles. Learn how DNR is conserving wildlife, rare plants and habitats. That’s one of the opening lines in “Conserving paradise,” the U.S. 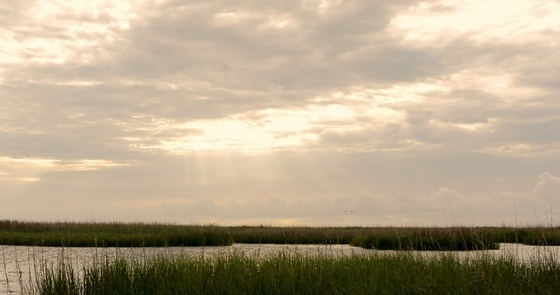 Fish and Wildlife Service’s multimedia journey into the heart of this corridor and what writer Dan Chapman calls “one of the nation’s most ambitious, successful and little-known conservation efforts” aimed at saving it. White-nose syndrome is a plague on bats. 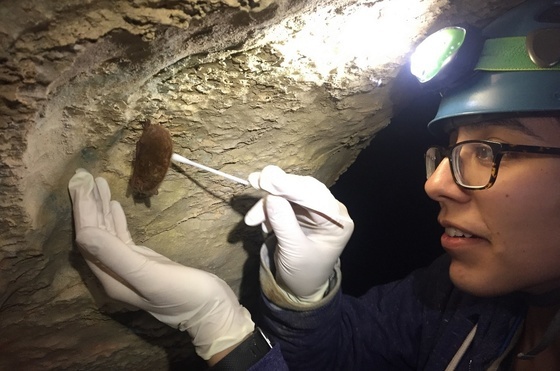 Deadly and fast-spreading, the disease named for the snow-white fungus found on the muzzles and skin of some affected bats has killed more than 6 million bats in North America. And that toll is rising, across the continent and in Georgia, where white-nose was documented in 2013. Led by its Nongame Conservation Section, DNR is working to track and slow the advance of the disease and gauge its impact. Those efforts this winter are documented in a recently released report and an online story map. Summer is the best time of year for Georgia hummingbird watchers. 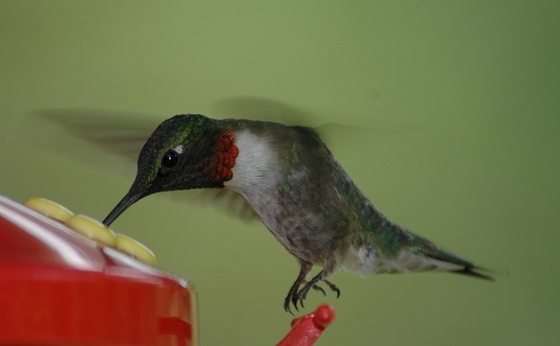 Some days, more than 100 hummers will visit a yard in search of nectar-producing flowers and sugar-water feeders. At a distance, these birds can look the same. A closer look can reveal what appear to be at least three different kinds. And later in summer, an additional odd hummingbird or two can make identification even more confusing. Read the rest of Terry’s column for ID insights, including sorting out any rare hummers that show up. A Bulloch County man and woman face misdemeanor charges after a dead bald eagle was found in their freezer. DNR Ranger 1st Class Jason Miller heard about the eagle, and that someone had asked about having it mounted. 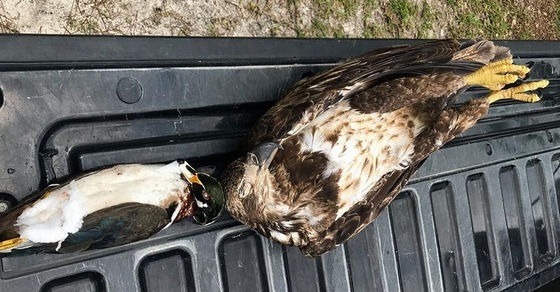 He and other DNR and Bulloch Sheriff’s staff questioned the couple last month, discovering the immature eagle and an illegally taken wood duck and two deer in a freezer. The investigation, including into how the eagle died, continues, according to Capt. Scott Klingel. DNR’s Tom Patrick and fellow botanist Keith Bradley, who is doing work on national wildlife refuges along the coast, boated the lower Savannah River to search for rare plants on evergreen hammocks and bluffs. And they found them, discovering sites for the globally rare shrub silver buckthorn and Mellichamp’s skullcap, an uncommon mint. None of the eight manatees fitted with satellite transmitters in late spring had lost their tags as of earlier this month, good news for the study of how manatees use Georgia’s coast (“Tracking more manatees,” June 15). In a recent check, all but two were between Cumberland Sound, Fernandina Beach and Naval Submarine Base Kings Bay, while one was in the Brunswick area and other near Port Orange, Fla.
SunTrust Plaza Tower continues as a hangout for peregrine falcons, though no nest has been observed at the downtown Atlanta building for two years. 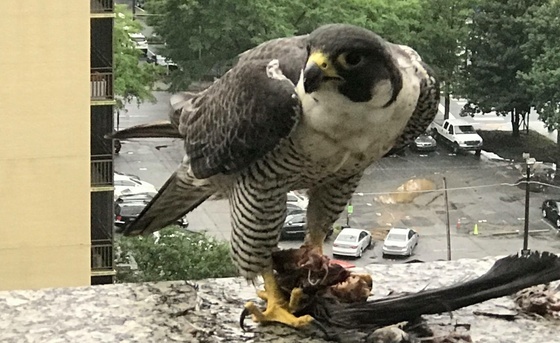 Marc Bearden photographed this falcon outside a ninth-floor office in June. 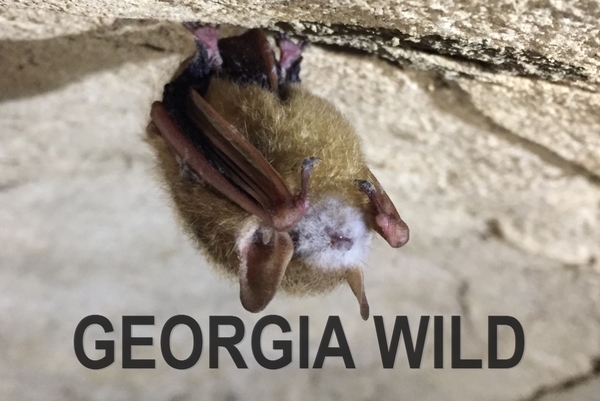 Names in the news: Nongame Conservation Section Program Manager Dr. Brett Albanese spent four days on Paddle Georgia, this year a weeklong paddle on the upper Etowah River. Helped by DNR volunteer ichthyologist Camm Swift and The Nature Conservancy’s Katie Owens – plus many Paddle Georgia participants – Albanese made eight fish collections (collecting 37 species) and gave a short talk each night about ecology and conservation of the species. The 2018 event is set for June 16-22 on the Yellow and Ocmulgee rivers. A growing-season burn covering about 300 acres at Broxton Rocks Preserve was a flaming success. 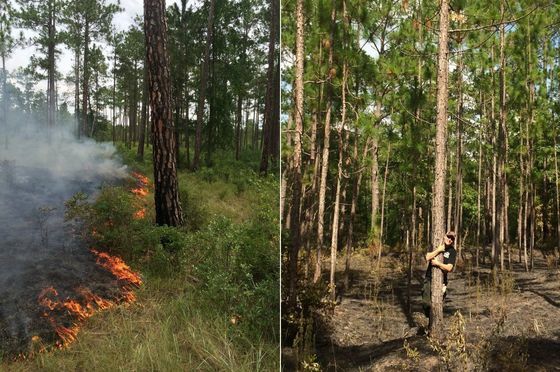 The habitat-restoring prescribed fire involved DNR, The Nature Conservancy and Orianne Society staff, plus National Fish and Wildlife Foundation funding through The Longleaf Alliance. Because The Nature Conservancy, which owns the 1,650-acre southeast Georgia preserve, had strategically burned adjacent units in the dormant season, the recent burn was easier to manage despite its size and the high ambient temperature, reports DNR fire management officer Shan Cammack. Also at Broxton, Cammack (right) checked on longleaf pines she planted 25 years ago as a graduate student and Nature Conservancy volunteer. “So gratifying to see them grown up,” Cammack wrote.